“Like father, like Son”- Richard Molnar clocked up three wins and father Andy four in BHR’s final meeting of the year at Cadwell Park. The Molnar’s were not the only serial winners. There were outstanding performances by Nigel Palmer with 8 wins in the Lacey Ducati Championship, the second of Saturday’s Classic Racer Magazine BEARS races and then two wins in Sunday’s Morris Lubricants Championship races! The ever consistent Chris Firmin claimed six chequered flag’s with wins in both the Morris Lubricants and the Royal Enfield (UK) Championship races. Sidecar and 3-wheeler races are always closely fought and the honours were shared between Sid Ormrod and Bill Tuer for the 3-wheelers with the impressive ‘Big’ Vincent of Julian Bishop offering a major challenge to the other sidecar outfits throughout the weekend. A fascinating outfit that made its debut was Andrew Thompsons’ immaculate “four-valve” Vincent. Honours in the BEARS races were shared between Nigel Palmer with 3 wins and Tim Poole with one however the usual suspects of Ron Maul, Rob Paget and Ben Kingham were all not far behind. There were four 6-lap races in the Lansdowne Championship for machines that must conform to a strict specification. 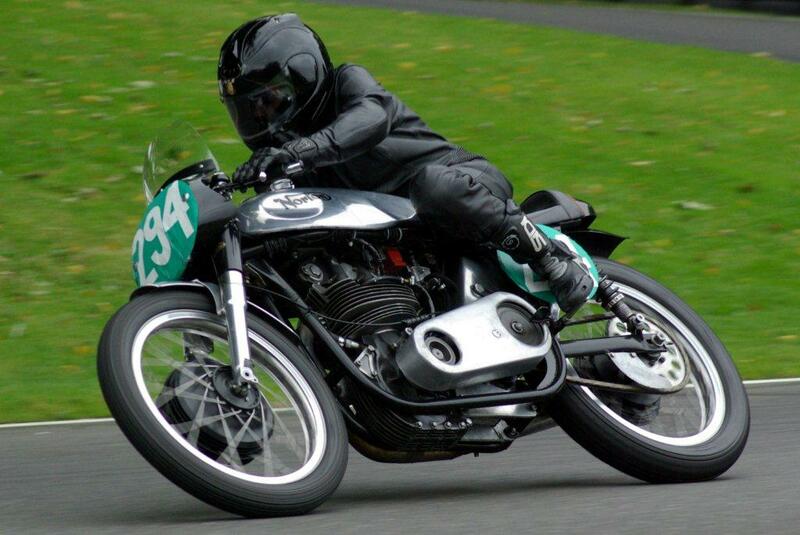 It’s all big, expensive metal but it’s not for show and it’s very serious racing with the first, second and third leg’s being comfortable wins for Michael Russell on his Manx Norton. In the fourth race on the Sunday Andrew Taylor on his G50 Matchless was only 0.91 sec s behind Russell on the line. The remarkable Mervyn Stratford and his equally remarkable Rudge had a good weekend with two wins on the Saturday and a 1st and a 2nd on the Sunday. It was the 250cc races that gave Richard Molnar his three wins with his Ducati in the “250cc Specials” Championship with Jack Scrivener and his Greeves Silverstone denying him a clean sweep. Angela Cragg rode a cracking race in the second of Sunday’s 250cc races on her 250cc ‘Manx’ Norton to claim a well deserved 2nd place. The first 3-wheeler Championship race went to Steve Stevenson’s Broadstock BSA with Nick Weston, Phil Biggadyke and Phillip Holt right up there with him. 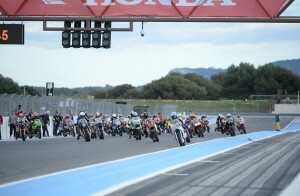 It was a repeat performance in the second race and also in the first race on Sunday. Nick Weston took the lead in the 4th race and in spite of strong challenges from Biggadyke and Whitehouse took the chequered flag. The Palletforce 350cc Championship gave Andy Molnar his four wins of the weekend out of a fiercely contested series of races. Clive Ling picked up three wins in the Goodwin Championship with his Seeley Gold Star only to be denied a clean sweep by Bill Swallow and his Aermacchi in the second of Sunday’s races. The Royal Enfield (UK) 500cc Championship saw Chris Firmin win the first race with a convincing lead of 21 secs at the flag with some determined scrapping between Austen Kear, Andy Molnar, Graham Buller and Jack Hebb. Firmin repeated the exercise in the second race leading from the flag to finish 17 secs in front of Austen Kear. It was pretty much the mixture as before on Sunday with another convincing victory by 12 sec from Andy Molnar in the first race and from John Schoenemann in the second which denied John his hat-trick in the Bob Newby Racing Championship. Scooters can be guaranteed to provide plenty of excitement and they did not let us down. From a full grid Jon Uffindell led the pack into Coppice in the first race but it was Guy Topper who took the flag. Guy was not having things all his own way as it was the Lambretta of Stuart Day that took the flag in the second race. Guy came back to win both of Sunday’s races – the second of which was run in wet and miserable conditions. For the ‘Zips’ Craig Bewey takes some shifting off the top spot but Damon Tunnicliiffe succeeded in the wet on the Sunday. The Tuers Garage Championship for pre-1948 machines saw wins for Ian Bain and Sam Rhodes who also clinched victory in the second race on Sunday. Simon Clover’s ES2 was always up at the front away from the flag and was still up there with them at the finish. The weekend was brought to a close with the Sheelagh Neal ‘Over 50’s’ Charioteers’ Championship where Julian Bishop convincingly demonstrated the advantages of a big engine by taking and keeping the lead from Phillip Holt and Tony Banister. Bill Tuer won the sidecar “Champion of Champions” handicap race and in the gathering gloom John Schoenemann took the Bonhams ‘Over 50’s’ solo race. 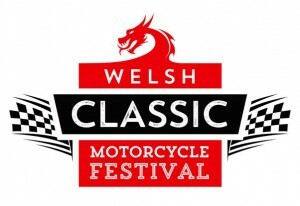 An exciting weekend’s racing and the end to an eventful year for VMCC British Historic Racing! European Classic Series – A very disputed first round!